Honored to be a returning as a teaching artist this spring at Madison Junior School in New Jersey for their memoir unit. Here’s a fun shot from my first day working with 200+ 7th graders! Started the wheels spinning to generate seed ideas for their personal narratives. 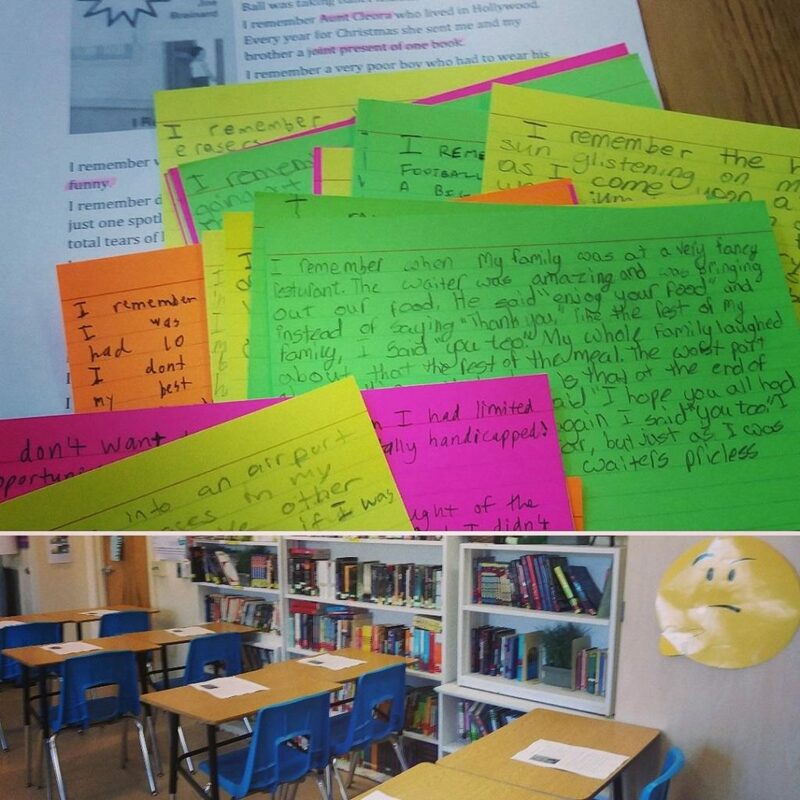 By the end of the unit, each student will draft, revise, and polish a personal story. This summer, I’ll edit and publish the finals into an anthology of their work. Such a thrill to help these young writers become published authors.